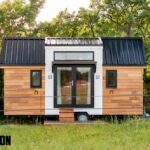 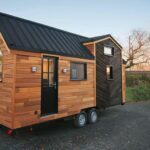 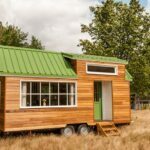 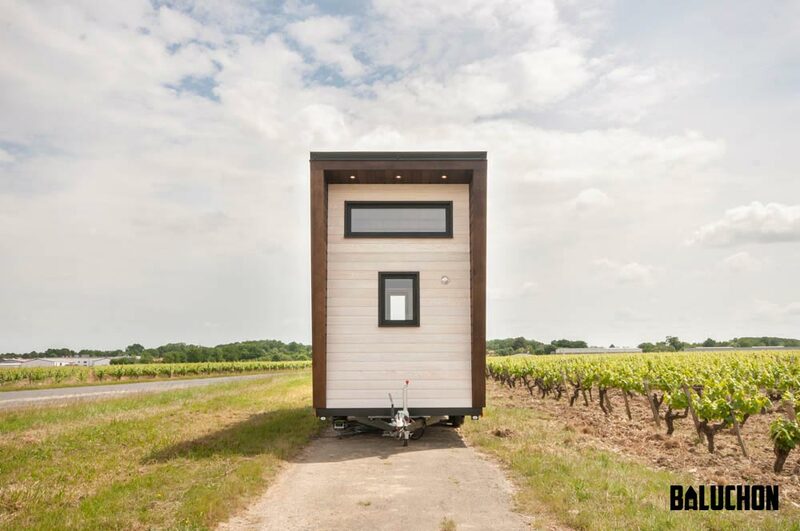 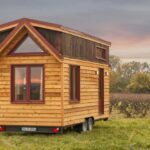 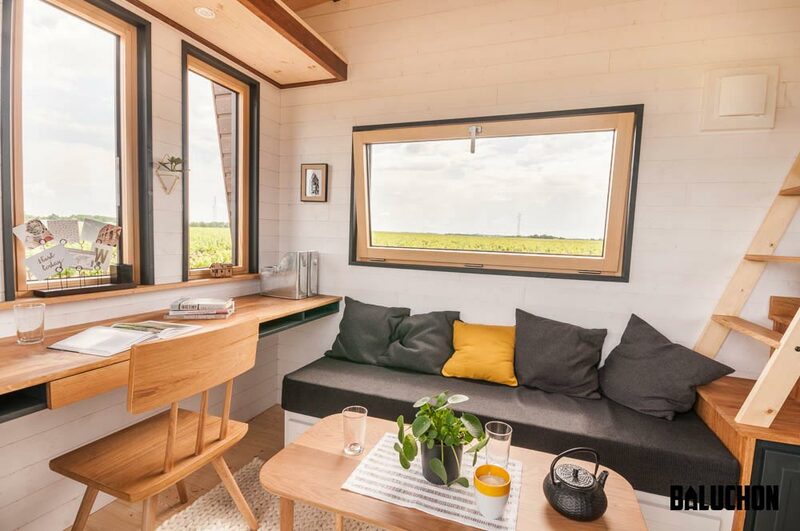 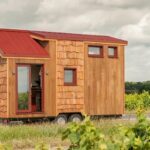 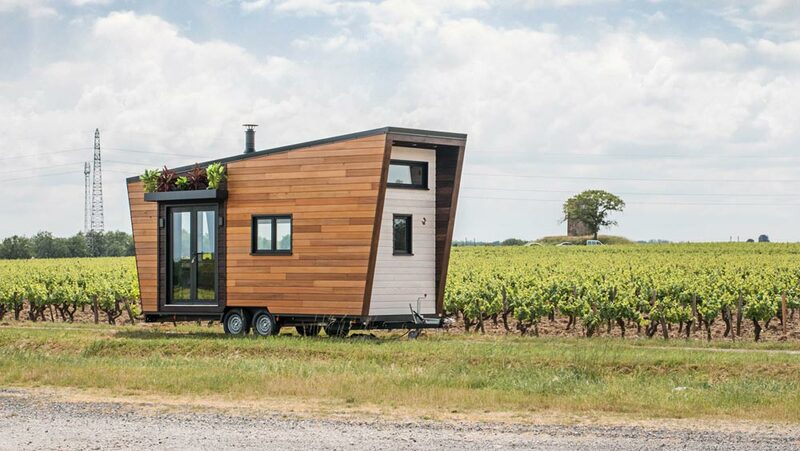 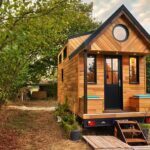 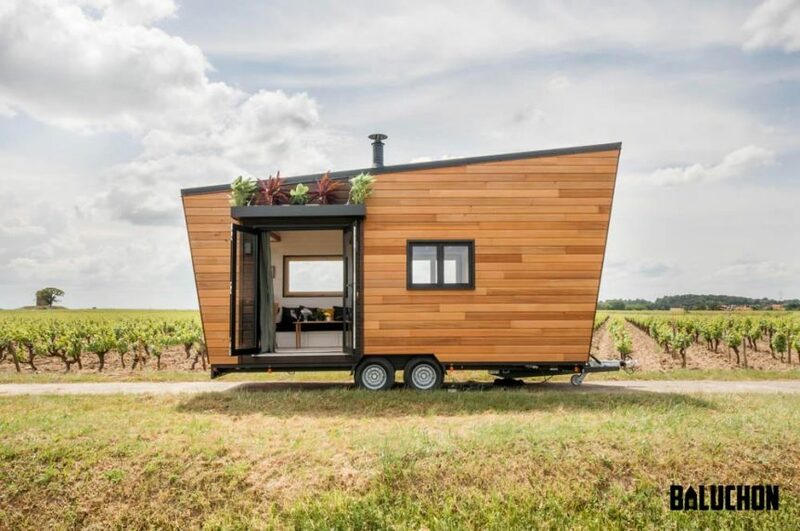 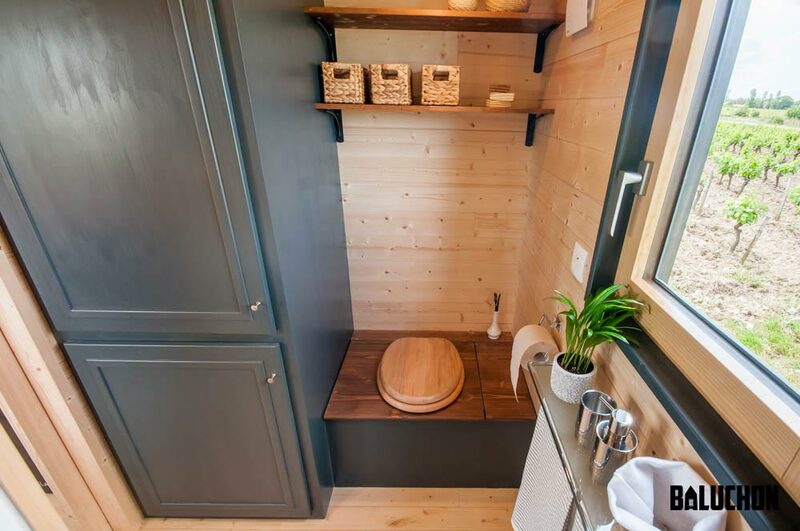 Intrépide is a beautiful 7-meter (~23-foot) tiny house built by French tiny home builder, Baluchon. 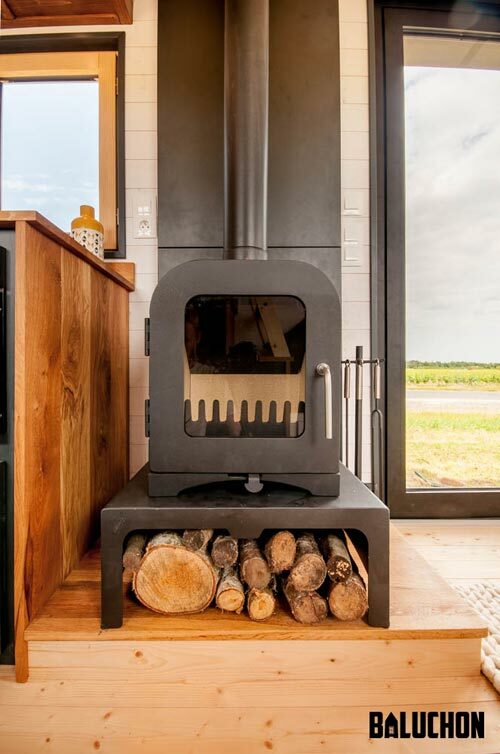 The home features an office area and wood stove in the living room. 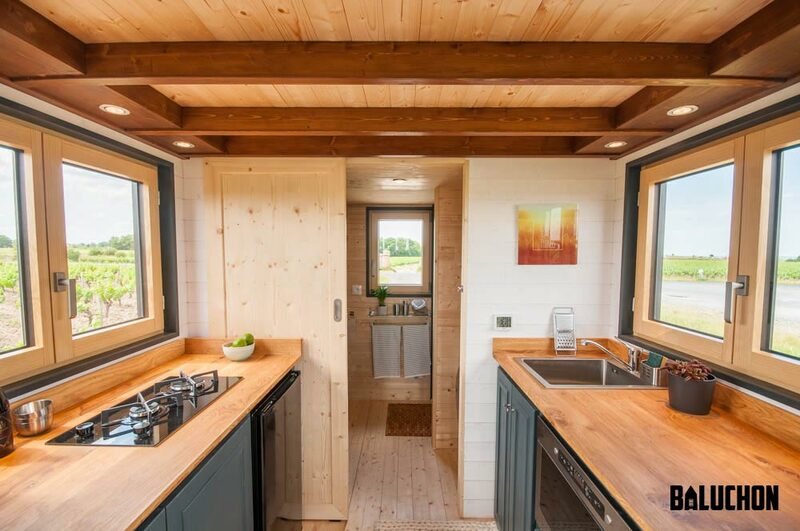 The exterior is clad in three shades of red cedar: natural, whitewashed, and burnt. 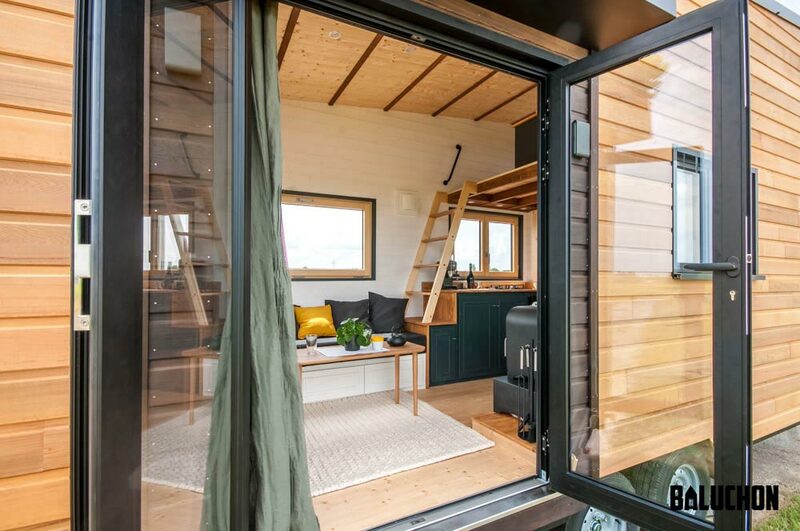 Two full light french doors lead into the living room. 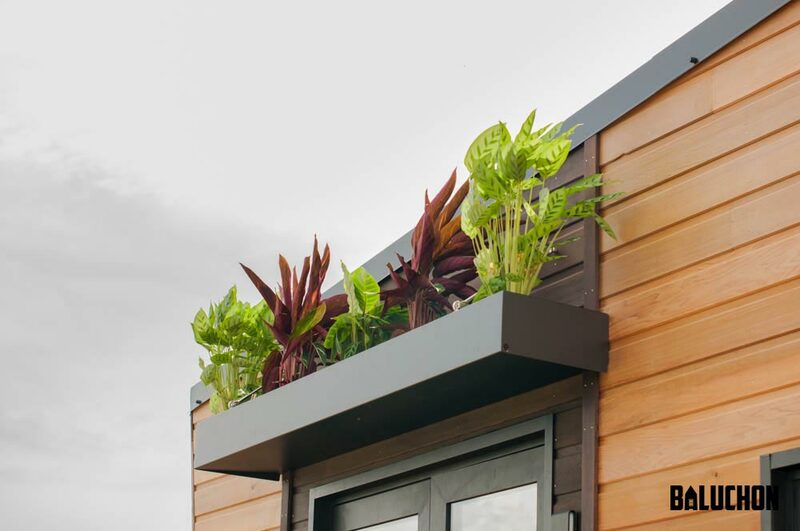 Above the doors is a flower box that also works as a canopy. 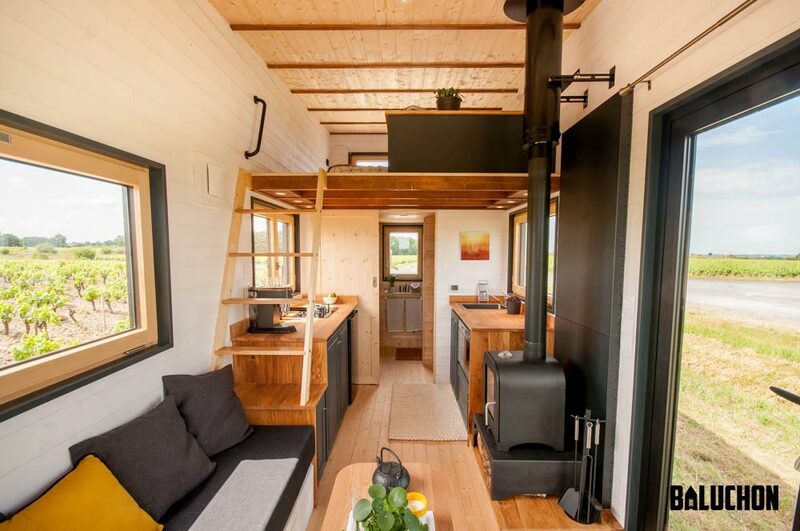 In the living room is a large desk that spans the width of the room, a built-in bench seat with storage, and the wood stove. 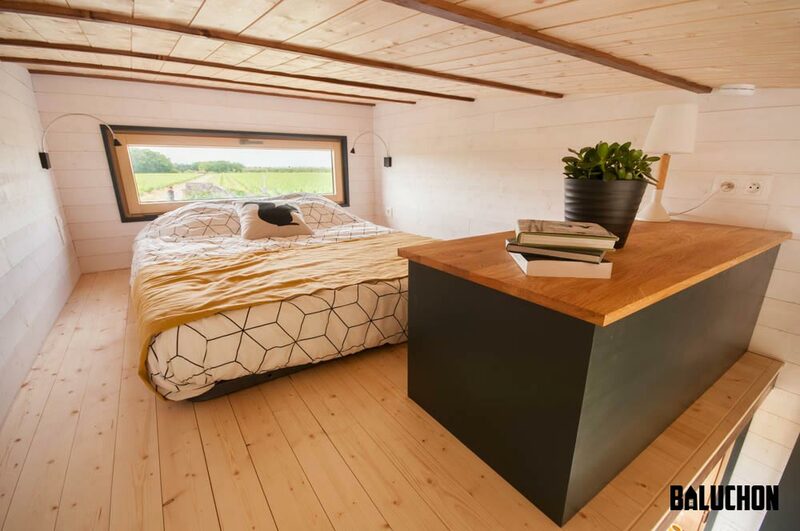 Above the desk are three windows and an extra shelf. 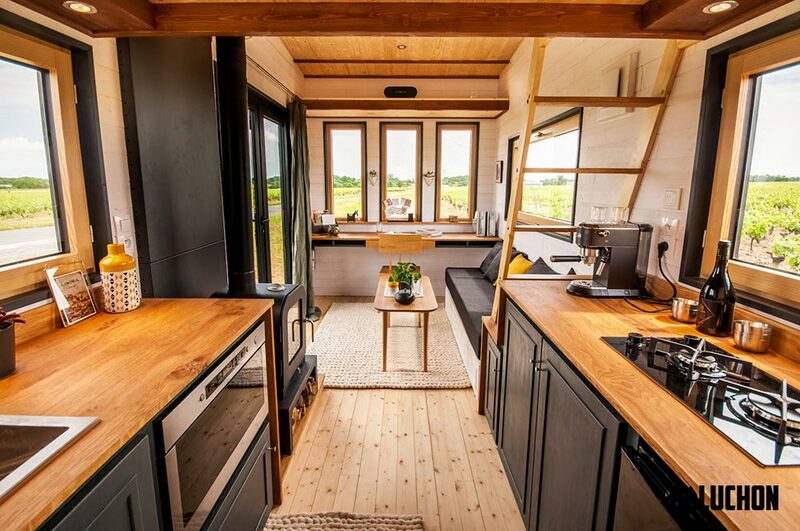 The galley kitchen has solid oak counters, an under-counter refrigerator, electric oven, two burner gas cooktop, and stainless steel sink. 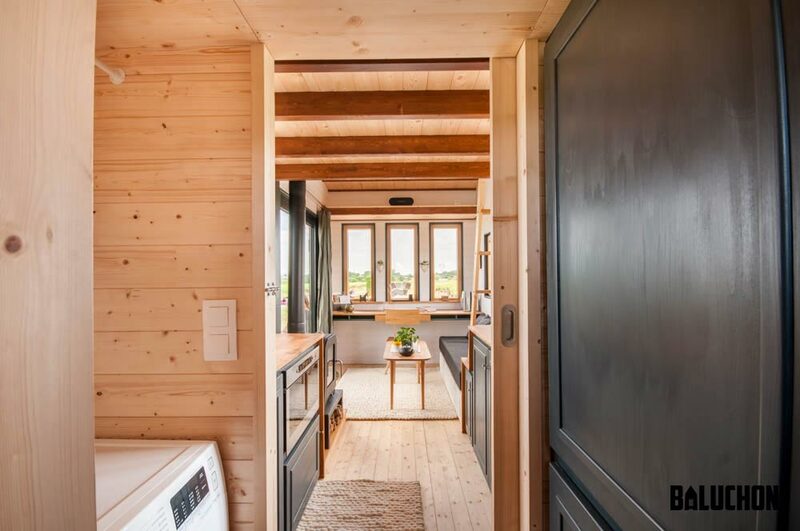 There is also a double-flow VMC between the kitchen and living room. 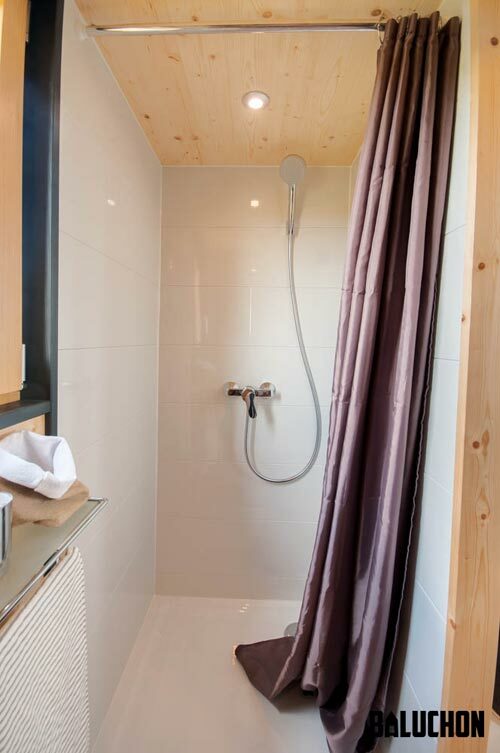 Beyond the kitchen is the bathroom with sliding door, 80x80cm shower, dry toilet, large wardrobe, and washing machine. 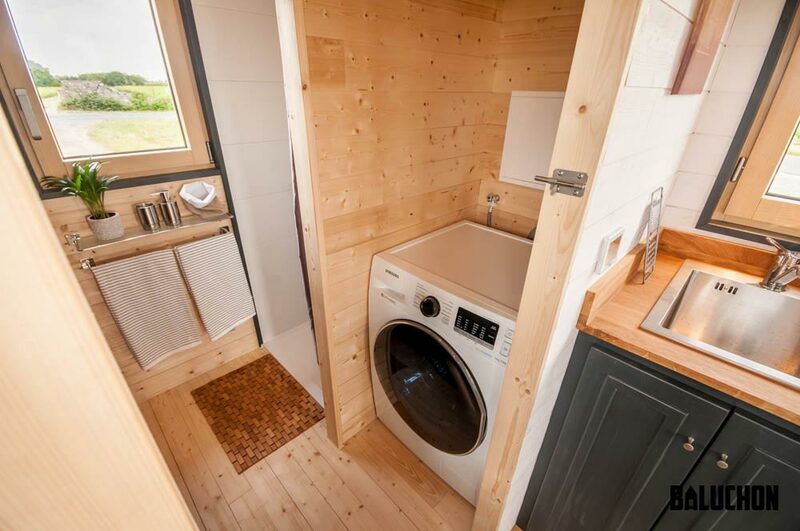 Above the washer is space to hang dry clothes. 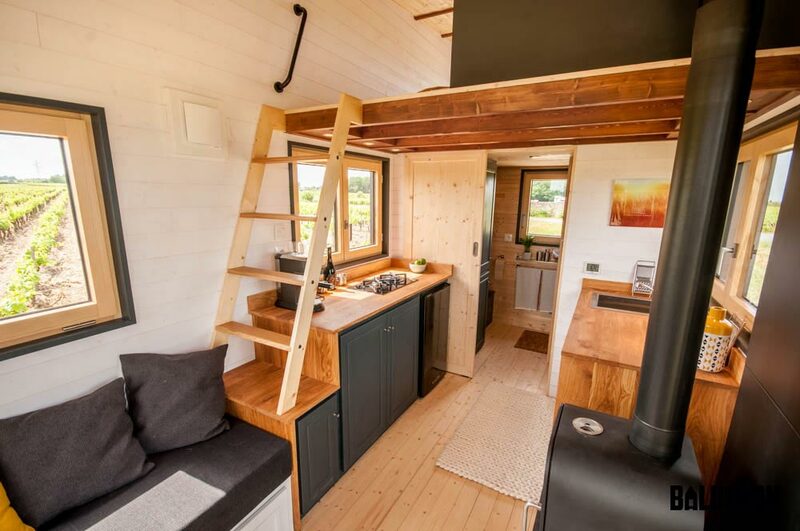 Above the bathroom and kitchen area is the 3×2.15-meter bedroom loft with double bed and removable storage furniture. 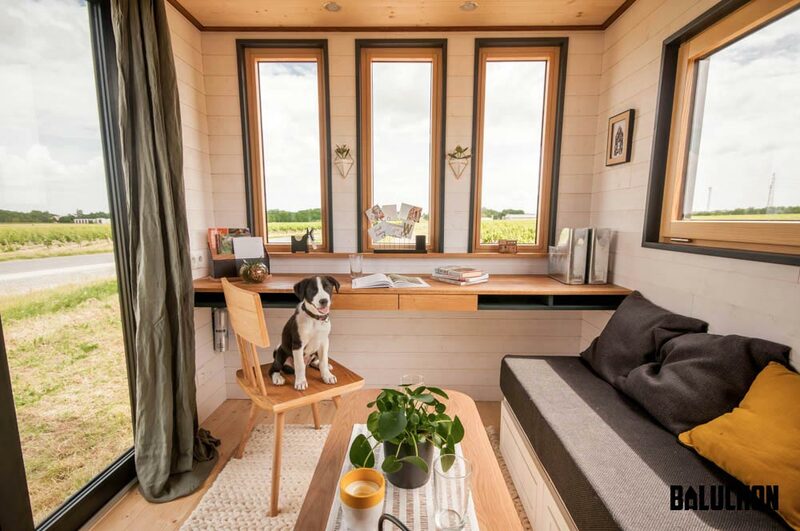 The owners, Damien and Emilie (and their dog, Janpol! 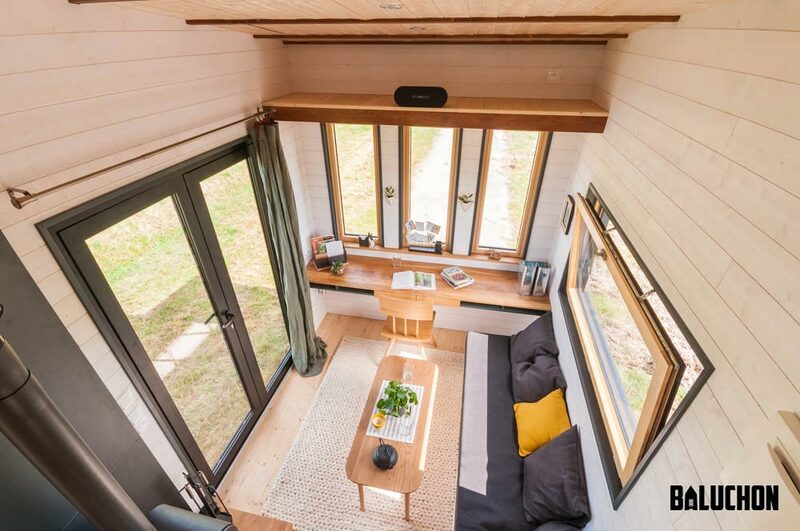 ), will be living in this tiny house in the beautiful French Alps. 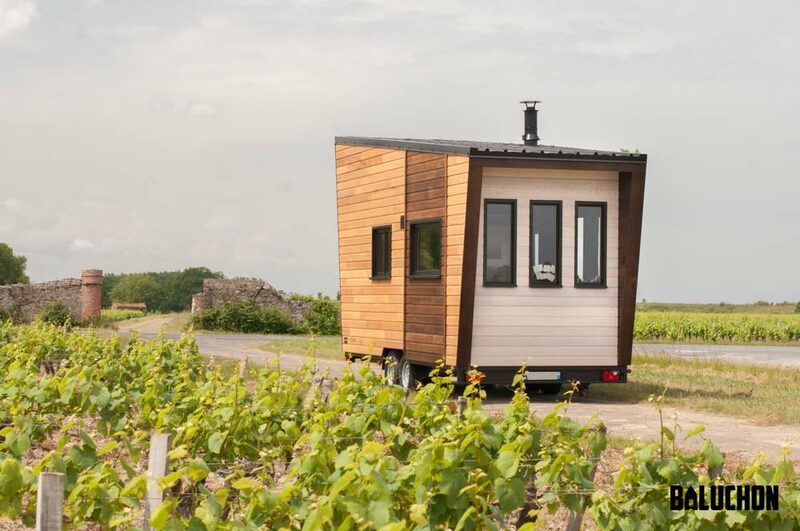 For more information about the Intrépide, please contact Baluchon.